In 1969, North Shore Welding Supply Ltd began its operation as a small, local supplier of welding equipment and materials. Over the years, we have grown into a business with 20 employees and 2 locations, and we provide our products to customers from Campbellton to Miramichi, including the Acadian Peninsula. No matter what we do as a business, we always look to form strong relationships with all of our customers. In order to create these partnerships, our team focuses on delivering the products and services that each customer needs, and we do this with an efficiency and reliability that is second to none. We offer one-on-one service, and our phone lines are open 24/7 for any of your emergency needs. 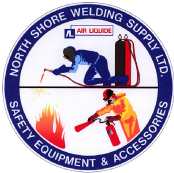 When you are searching for welding and safety supplies, North Shore Welding Supply Ltd has the products you require.